We’d love your help. Let us know what’s wrong with this preview of The Intention Generation by Makenna Johnston. Amid a haze of blue, yellow, red, and green cornstarch and hullabaloo, author Makenna Johnston stared into the abyss of jovial bodies that make up an adult summer camp and had an epiphany: We're a culture mired in expectation. And despite the co-opting of intention by every coach, self-help guru, and goal setting specialist we as a culture are farther away from understandi Amid a haze of blue, yellow, red, and green cornstarch and hullabaloo, author Makenna Johnston stared into the abyss of jovial bodies that make up an adult summer camp and had an epiphany: We're a culture mired in expectation. And despite the co-opting of intention by every coach, self-help guru, and goal setting specialist we as a culture are farther away from understanding intention than we ever have been. 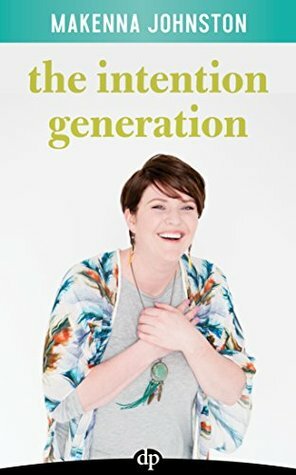 To ask other readers questions about The Intention Generation, please sign up. I discovered Makenna Johnston's work in a roundabout way, through a Vogue article naming Makenna and her wife the new owners of La Pitchoune, Julia Child's house in Provence. I adore Julia, grew up watching her on TV, and have written about about her "late-blooming" entrée into French culinary world (she ate her first French meal at age 36). So I was curious and checked out Makenna's website. At first I thought, "Oh no, not another new agey personal-business-coach-thought-leader." They're ubiquit I discovered Makenna Johnston's work in a roundabout way, through a Vogue article naming Makenna and her wife the new owners of La Pitchoune, Julia Child's house in Provence. I adore Julia, grew up watching her on TV, and have written about about her "late-blooming" entrée into French culinary world (she ate her first French meal at age 36). So I was curious and checked out Makenna's website. At first I thought, "Oh no, not another new agey personal-business-coach-thought-leader." They're ubiquitous around the entrepreneurial Interwebs and usually market to women. But Makenna doesn't fit that mold. Her educational background is spot on (she graduated from Smith College, Julia's alma mater). Her business background is solid (in both the public and non-profit sectors). Her "life experience" is diverse, as you'd expect of someone whose pure passion for cooking inspired her to buy Julia's house (with a group of investors. She tells the story in the book and it's extremely inspiring). "Intention is about actions and desires. Expectation is about simply creating the thing that should be done, and without much thought." "Intention is about seeking to create on purpose. ... Expectations, contrary to intentions, are driven by wanting and stuck in the shallows." "Expectations are the things we don't control. ... Intentions, on the other hand, create opportunities for excitement, joy, potential, and non-attachment to outcomes...and growth." Expectations extract. Intentions invest. "I want to make friends" is an expectation. "I want to be a good friend" is an intention. How do we shift from expectation to intention? Makenna devotes the last part of the book to specific methods and examples.